Happy 4th of July! 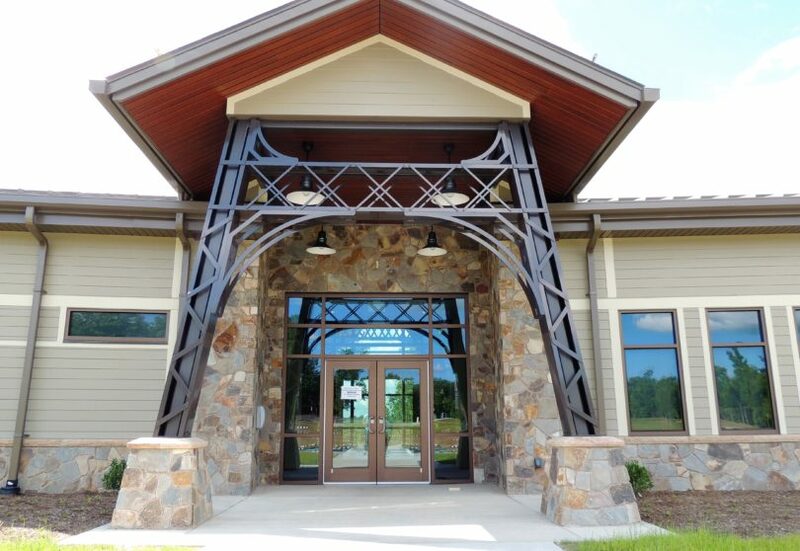 The new visitor center at Kinzua Bridge State Park is open to the public for the first time this weekend, but the grand opening won’t be until mid-September. As I mentioned a few weeks ago, our nonprofit will be operating the gift shop at this new facility. We are so excited about this, and a big part of the reason is that it is going to create new work opportunities for local producers and other small local businesses involved in The Wilds Cooperative of PA. We’ll be writing more about that later this week, but for now, I wanted to share our new store brand, which we developed with the help of the PA-based creative firm Swell. 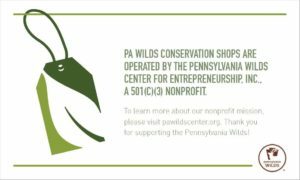 For the name, we landed on “PA Wilds Conservation Shop,” which can be tailored to fit future locations where we might expand. We’ll focus on three key messages at the gift shop – 1. That sourcing local leaves a smaller energy footprint; 2. That buying local has a ripple effect on our rural economy; and 3. That store profits go to support the PA Wilds Center’s nonprofit mission. 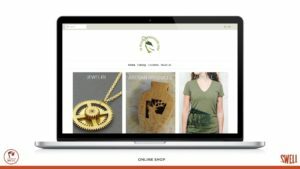 We’ll be launching an online store with the gift shop, so visitors who might show up after hours, during the shoulder season or are traveling by bicycle or motorcycle (where it can difficult to carry extra baggage), can be served by an iPad kiosk and have popular gift shop items delivered directly to their doorsteps. We are shooting to have the store open by early August. For information about opportunities in merchandising, vending services and employment, see the Wilds Cooperative of Pennsylvania website. Several organizations are helping us get the gift shop off the ground, and we’ll be writing about them in coming weeks, too. Stay tuned! Thanks Deb Anderson! 😉 We are excited to create this new market for local products and to be working with DCNR to push foot traffic from these signature attractions to the local business community! 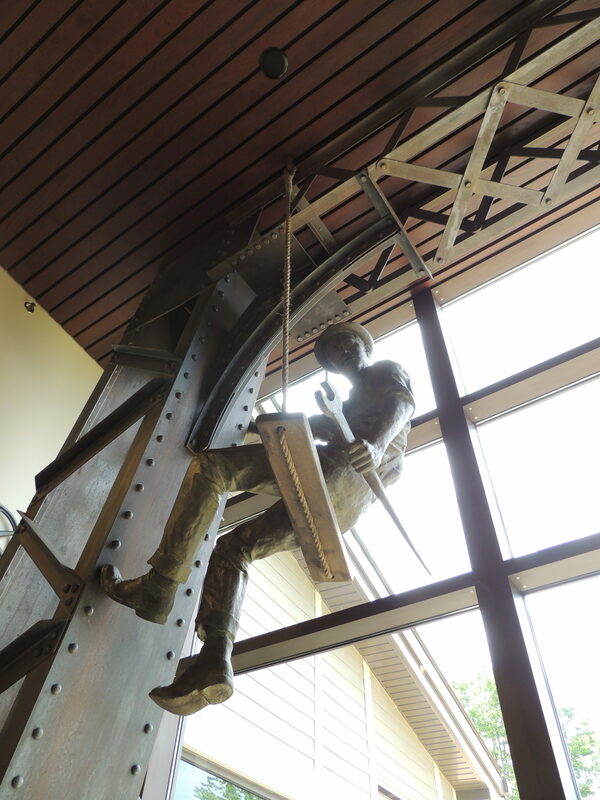 I can tell you, my numerous visits to the education center, hiking the trails, walking the skywalk, never get old. The artisans I previewed at the gift shop this past week was beyond impressive, from the hand-carved bowls, to the jewelry and unique gifts, they were so enjoyable to see and purchase. Keep up the great work, it is paying off! !